A power company has been given the go-ahead to proceed with its planning application to lay 16 miles (27km) of gas pipes through Staffordshire. RWE npower said the underground pipe-work would connect to the gas network in Yoxall and supply a new £1bn power station in Derbyshire. 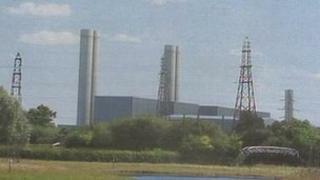 The government approved plans for Willington C power station in 2011. The next step will be publicity about the plan with interested parties asked for comments. The Secretary of State for Communities and Local Government, Eric Pickles, will have the final say over whether the scheme goes ahead.